Small, lightweight, compact, and rustproof. Easy to use and perfect for photos and videos. The aluminum pole is rust-free, and one piece with twist and lock system. The pole can extend to 18.1 inches and retracts to 6.6 inches. The foam grip phone holder holds the phone securely, clamp it tightly, and prevents stretching and falling. The phone holder can stretch from 2.16 to 3.54 inches. It can get a bit complicated to extend. This is the summary of consumer reviews for Luxebell Selfie Stick Telescopic Pole Pocket Purse Size with Phone Clip Holder for Gopro Hero 6 5, Session 5, Hero 4/3+/3/2 and Cellphone 6.6"-18.1" (Black). The BoolPool rating for this product is Very Good, with 4.20 stars, and the price range is $8.54-$10.99. Luxebell Selfie Stick is perfect for GoPro, Camera with 1/4 thread hole, and Cellphone. It is small, lightweight, compact, and easy to use for photos and videos. The rust-free aluminum pole is all one piece with twist and lock system. It extends to 18.1 inches and retracts to 6.6 inches. The foam grip phone holder holds the phone securely, clamp it tightly, and prevents stretching and falling. It can extend from 2.16 to 3.54 inches. 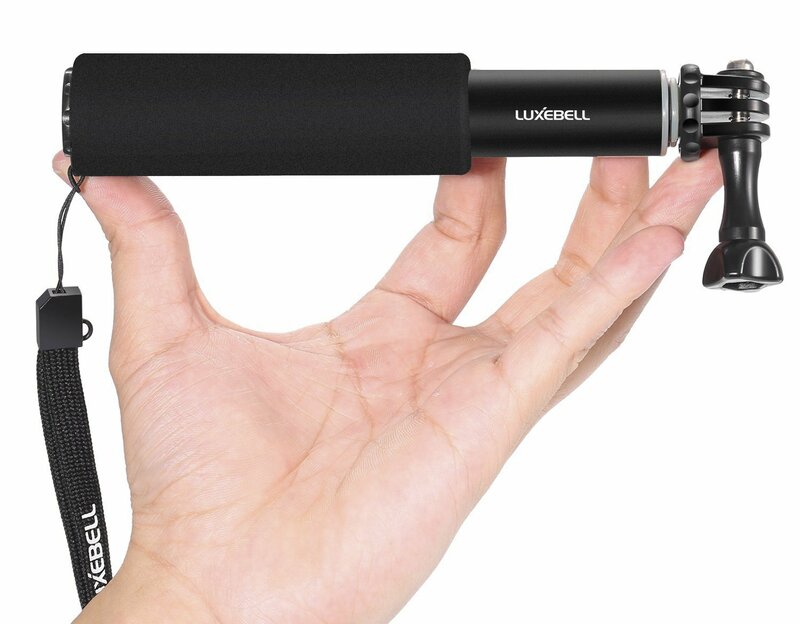 Users love Luxebell Selfie Stick as it is lightweight, small, compact, and works well. It can hold the phone or camera safely, fits inside the purse, and the length is reasonably long enough to capture everyone in the photo. However, a few feel that Luxebell Selfie Stick can get a bit complicated to extend. 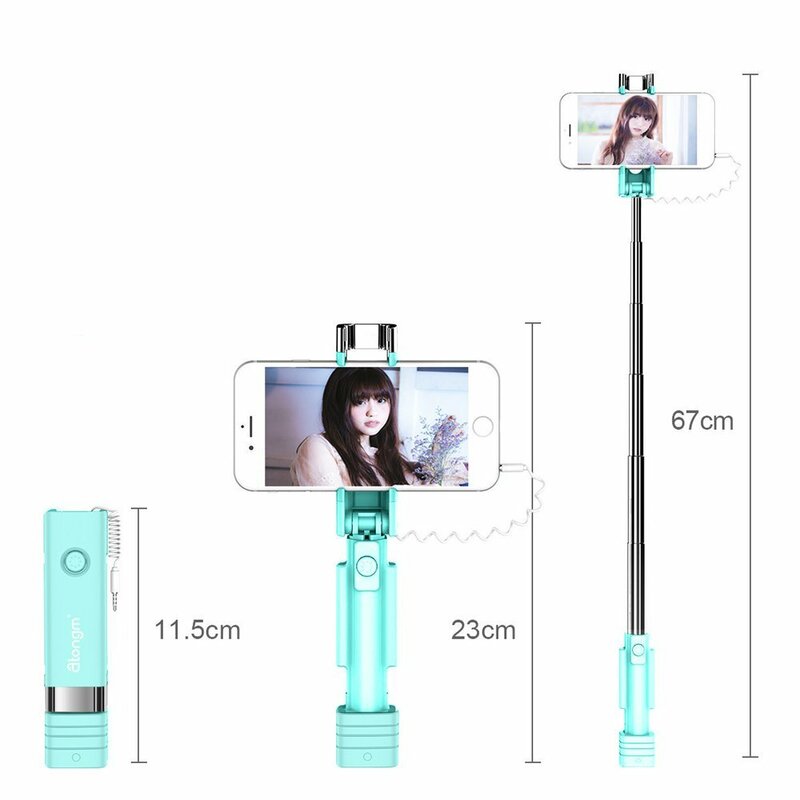 Overall, Luxebell Selfie Stick is a good product for the price. It is perfect for photos and videos and convenient to carry in pocket or purse. Guarantee: If not satisfied, you can return within 30 days for a full refund, and no question asked. Very light and good quality for the price. Very light and Looks to have good quality parts. Much better than the typical Made in China quality. Not good quality but was able to get some parts. Quality was okay for $10, but I wish I've spent more and got something better. Over all its really good quality for the price. Nonetheless, the build quality feels solid and it's very nice that this includes a phone mount and standard camera thread adapter for only 9 dollars. This's probably the shortest selfie Ive ever got for my GoPro4, the quality seems solid, its not shaky at all, it could delay fit into your hand bag and even your pocket, since I travel a lot, this'll be on my official traveling checklist. It locks in place so your camera wont move unless you want it to and its not too long so i dont look like an idiot. Lasted for my week long trip in below freezing temperatures. It comes with accessories to change mounting and can use for different products. I bought a longer one too and love it for big group selfies (https://www.amazon.com/dp/B00LUFLG20/ref=cm_cr_ryp_prd_ttl_sol_14). Bought this for an off brand GoPro style camera, and love the quality!! Sister's review: Love this little selfie stick! Love using this to vlog. and I love that it collapses. I love that it's got such a small footprint. Love that it comes with accessories to change mounting, and that we can use this for different products!!. I've purchased six and have loved all of them. Luxebell selfies stick are awesome quality. Love how compact this's. Took it with me on a recent trip to Korea and it was held up great. This stick can get a bit complicated to extend. This little tike twists and extends and twists again to lock. This's certainly compact, extends enough to capture myself and my surroundings, easy to use. It extends just enough for you to get that amazing shot or video. I've two aluminum smatree sticks, one that extends out to 36 inches and the other extends to 40 inches, and both do a better job capturing the wide screen view I prefer. It doesn't extend super far either - and that's okay! Even fully extended, the weight of the small action camera doesn't make it unstable. It's nice though that it extends and locks when you rotate the shaft. Its definitely not very long but just long enough for cellphone photos. It is lightweight and strong. It can hold the phone or camera safely. I bought this specifically to hold a 360 camera as the camera itself is awkward to hold. It'd no obvious means of triggering the camera and didn't hold my camera at all. it can hold your phone or sport camera safely. Its light weight , its strong and easily keep my Sony DSCHX80 camera (200 gram). It allows the camera to shift back and forth producing unnecessary camera shake. Should also really emphasize that's best for go pros and phones because it's flimsy and light weight so a heavier camera won't feel safe to mount. I wouldn't trust this to hold my $500 camera in the ocean. I'd recommend this if you've a camera that's a mirrorless camera or smaller. Its light and seems pretty robust. It fits inside the purse, and the length is reasonably long enough to capture everyone in the photo. easy to fit in my purse. Perfect travel size go pro stick it fit inside my bag and made it easy to carry throughout my 3 week backpacking trip in Europe. The mount does fit my iPhone 6S without any problems. This didn't fit with the go pro it says it does. Loved about it's it can fit in my purse. Lightweight, fits in my purse, semi-waterproof and can extend to a good amount. It's very lightweight, handy and it can fit in your everyday purse. I wanted one small to fit in my pocket while skiing, however the screw fell out that's needed to attach the go pro. I love that it fits inside my purse and the length is reasonably long enough to capture everyone in the photo. Very small, compact, and works well. Very compact and works great for traveling light. Works great with my gear 360. Works with my Samsung Galaxy Note 4 perfectly. Very small, very compact, and works well. It's a great value and just works. I wanted this for taking shots above my head, works perfectly!. Works perfectly with Akaso action cam and fits in logic case with tons of other accessories. Simple and small and looks like it'll work well for my travels with my GoPro. Small, and works as I thought it'd.